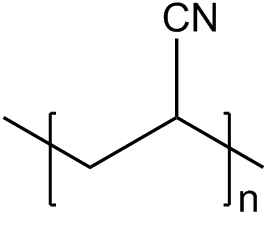 Acrylonitrile homo-polymer with approx. MW 200,000. Polymer powder with average particle size of approximately 40 micron. Soluble in DMF, DMAC, DMSO.